It’s officially Spring and that means it’s the best time of year for those of us with green thumbs. 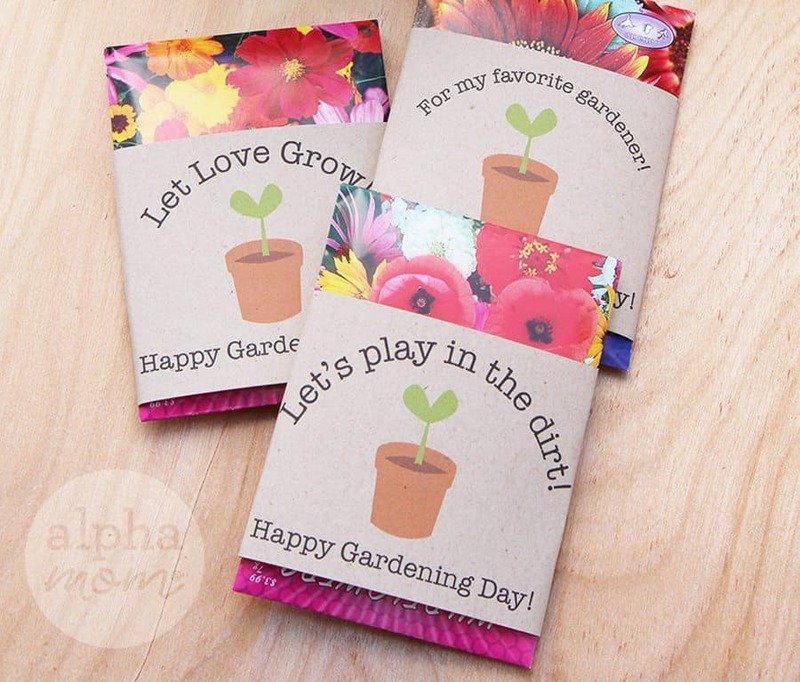 Wouldn’t it be cool if there was a holiday called Gardening Day and all the people who loved plants would give each other flowers and plants and seed packets like they were Valentines? It could be a planting time party! I say, let’s start that tradition. 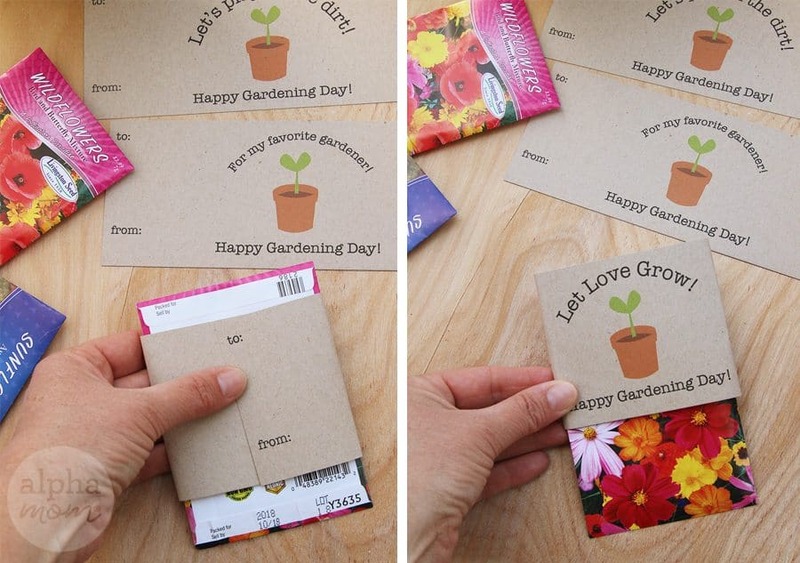 There is such a thing as National Gardening Day recognized by some on April 14 and there’s even World Naked Gardening Day (LOL) and Gardening Week in the UK (April 30 through May 6) and Public Garden Day (May 11) so really you could give these little cards any day that you like in Spring because if you have a green thumb and the weather is right, every day is Happy Gardening Day! Like my mom always says, the best way to clean the house is go outside and garden instead. Gardening is good for the soul. 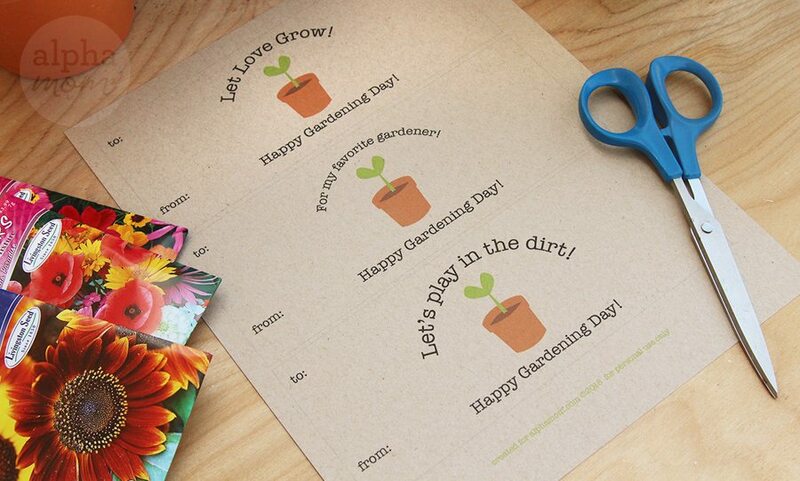 With our handy printable you can create fun little cards that wrap around seed packets. Download our printable HERE. Cut them out. 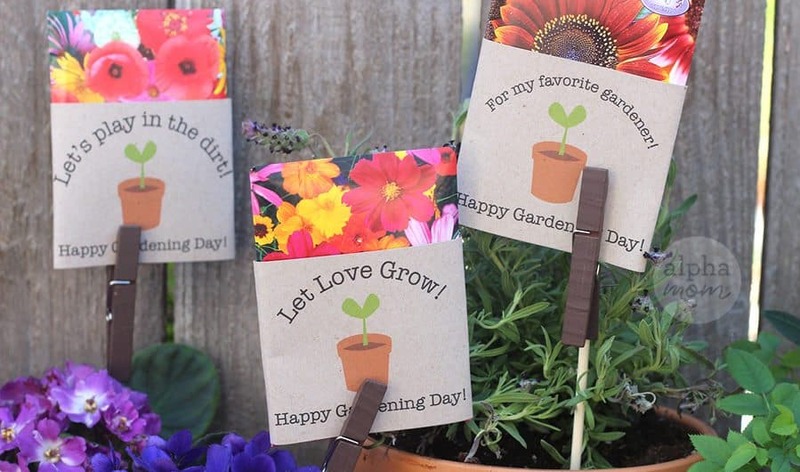 Wrap them around seed packets, tape to secure and leave your gardener friend a little note on the back! 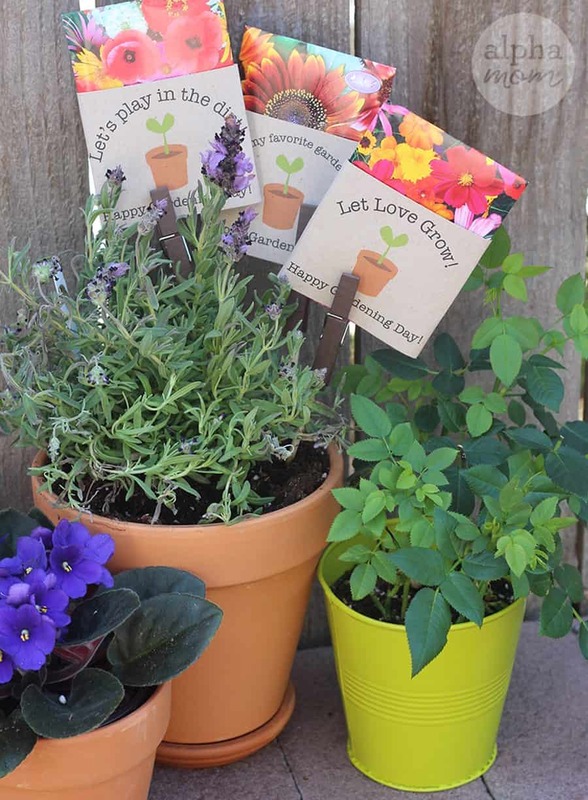 Or you could take it one step further and stick these in a plant to gift. I never met a gardener who didn’t want another happy plant. You can never have too many plants! To make our cards stick out of the pot we fashioned some little clothespin clips. 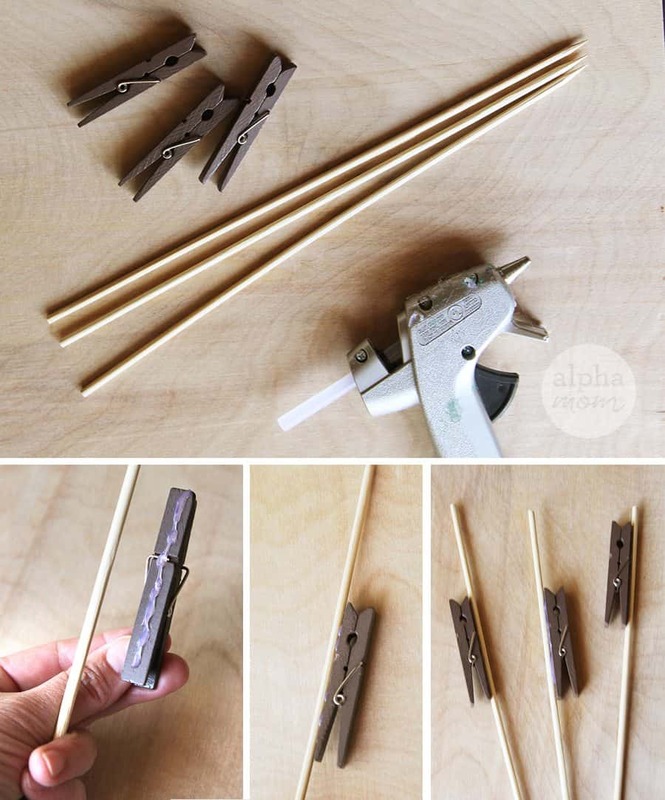 This is really easy to do by simply hot-gluing the clothes pins onto the sticks and then skewering them into the soil in your plant’s pot. Don’t they make a happy little gift?! Go ahead and make a gardener’s day!